Venue: IDA Labs@NDC Level 3, #111 Middle Road. 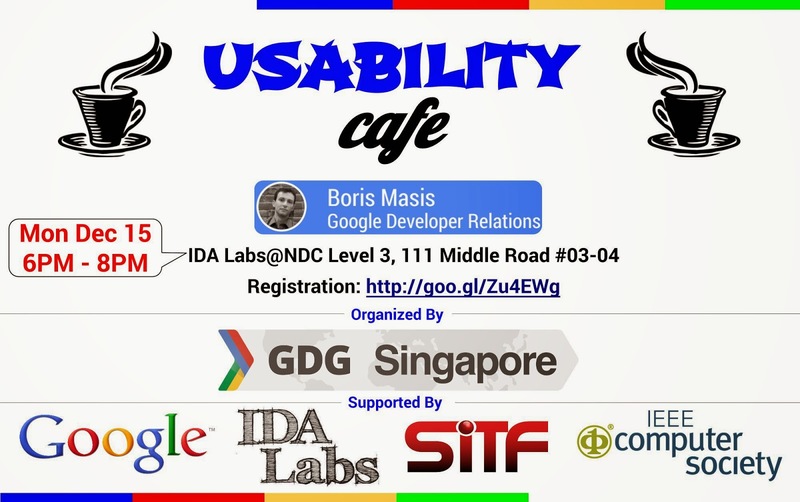 Boris Masis (Developer Relations Program Manager, Google) will be sharing his experience on Usability Design. Usability means making sure something works well, and that a person of average ability or experience can use it for its intended purpose without getting hopelessly frustrated. In this interactive workshop we'll talk about how you can do guerilla usability testing for your app. We'll go over a simple process to test your app usability cheaply, quickly, and effectively.